Over the years Dr. Zak has served as a pediatric dentist in Illinois, Southern Wisconsin and the surrounding areas. Patients travel from Freeport, St. Charles, several suburbs and other surrounding areas to The Tooth Fairy Castle for check-ups. Dr. Zak is a member of the Illinois Dental Society and is listed under pediatric dentists in Illinois. Because this dentistry is a specialty license, Dr. Zak holds two specialist licenses; pediatric dentistry and is licensed in general dentistry. 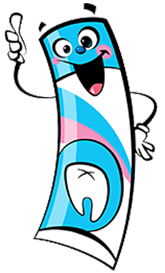 Dr. Zak’s specialty is often referred to as a pedodonitst; which is the specialty of a pediatric dentist. For parents seeking a “kid’s dentist” or “children’s dentist”, Dr. Zak’s focus and specialty is pediatric dentistry.